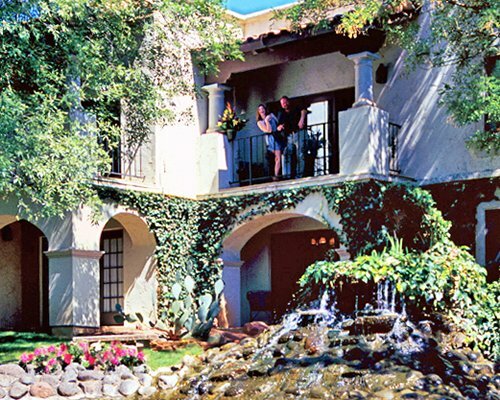 The Sedona Vacation Club/Los Abrigados is situated on 22 acres of winding walkways, cascading fountains and shady nooks of the luxurious Los Abrigados Resort in Sedona, Arizona. 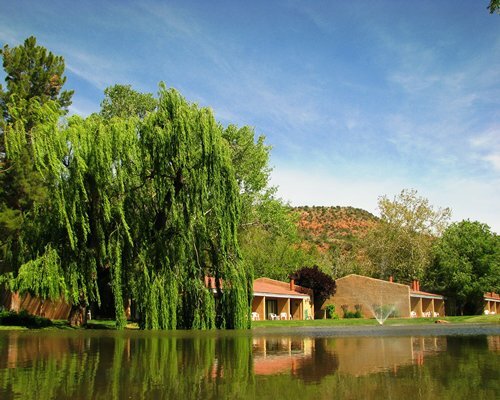 Perfect for a romantic getaway or a family outing, the property is located in an area known for its "four mild seasons" and breathtaking outdoor scenery. 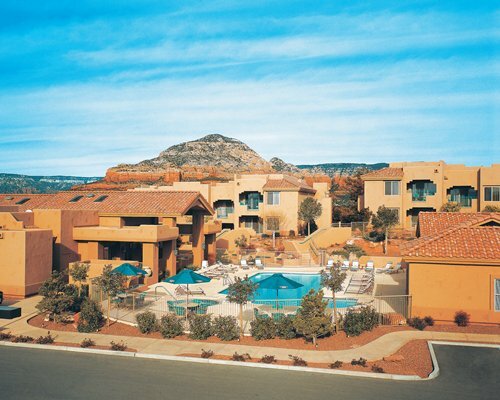 Enjoy fantastic red rock vistas as you lounge by the pool or unwind in the hot tub. For those with pure relaxation in mind, the in-house spa offers everything from massages and facials to eucalyptus steam baths. Guests who wish break a sweat can work on their backhand at the available tennis court or use the Nautilus machines in the resort's state-of-the-art fitness center. Other services and amenities include full room and poolside bar service, aerobics sessions, a tanning and hair salon, and exclusive use of the sauna and playground area. 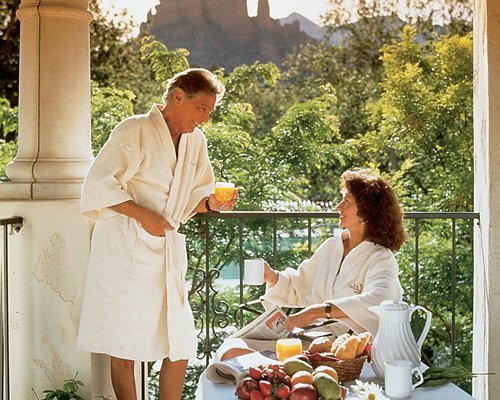 Sedona Vacation Club/Los Abrigados features one- and two-bedroom accommodations. 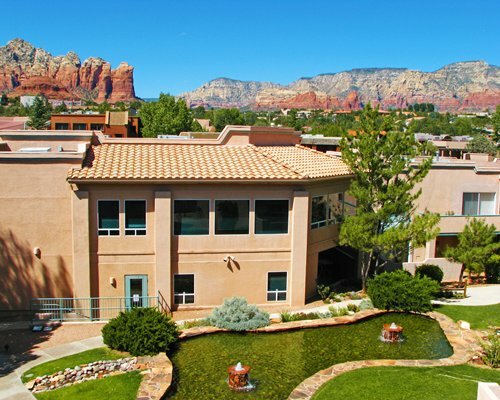 All units are air-conditioned, have kitchens with all the necessary appliances including a dishwasher. 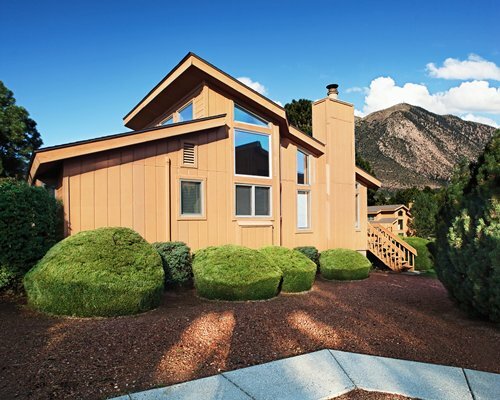 One-bedroom units accommodate 2 to 4 people, while the two-bedrooms sleep 6 to 8 guests. 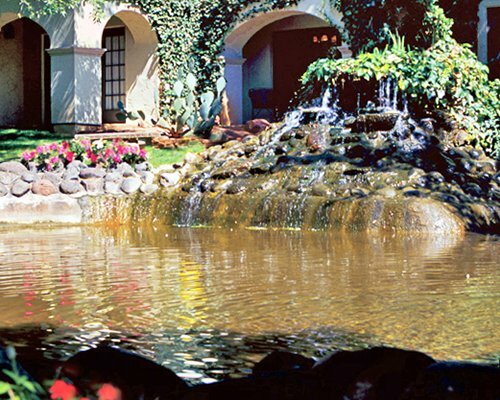 Resort amenities fee is 24.95 U.S. dollars. Cash or Credit is accepted. 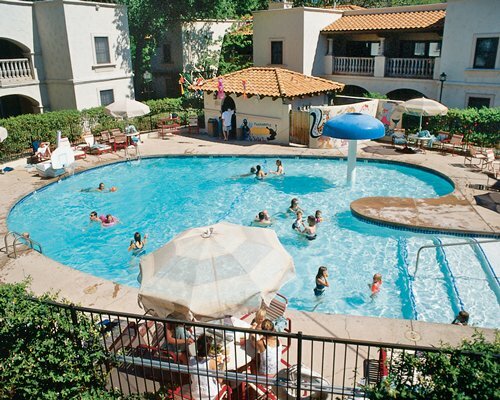 The fee is per night per unit, plus tax. 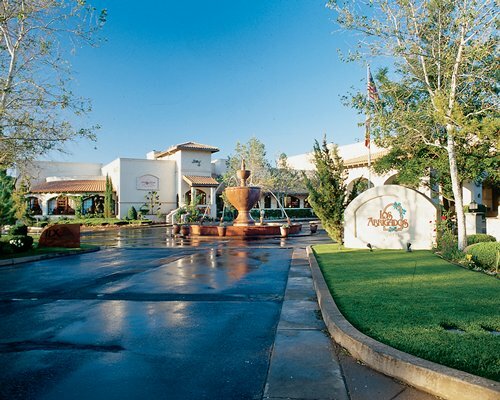 Red Rock Fantasy no longer takes place at the resort during the Christmas season.